I'm posting the last Pantone card challenge prompt of the year a little early. There's plenty of scope for combining these shades too as well as focusing on one! As those lovely cookies demonstrate, the neutral grey tones can be used together to create a monochrome look that plays with dark and shade. You could even incorporate silver or black heat embossing to accentuate the details. How beautiful do those snowflakes look? I'm sure you have snowflake dies and stamps in your stash that would work well as a DIY background or as the focal point of your card design. There's also scope to create a blended background with Distress Inks, combining masking techniques for the moon, and you could even introduce the spruce shade into your blending or for the trees. Neutral grey of course can be a great background instead of white. One of my personal favourites! Any of these inks would be a great bold colour for foliage, pine boughs and trees. When used as foliage, blush pink tones also work great to highlight the green - so blush berries rather than red, blush tone winter roses, so many possibilities. I hope you've enjoyed this year's prompts! Well we have reached the penultimate challenge for this year. It's the ideal opportunity to use this month's prompt for festive inspiration as this shade of red will go beautifully on Christmas cards. There are lots of different patterns with red featured in the image - check out your patterned paper stash to see if you have any scraps that finally need using up! The glass dome is great inspiration for featuring a snow globe or other similar elements on your card - so many Christmas lines have featured these in recent years (especially My Mind's Eye). The big wooden number peeking out reminds me of Marquee lighting or you can simply go big and bold with numbers on your card, whether for a birthday, anniversary or just to record December 25th. The shiny ceramics could easily be interpreted with glossy accents or (DIY) enamel dots - perhaps as berries. Foliage is always a great element to incorporate, it doesn't have to be red - you could use conventional colours or a monochrome look and add red for a pop of colour. The bookcase could be used as inspiration for a vertical card with horizontal stripes or blocks of elements in the blueprint of your card design. The wooden blocks could be used as inspiration for some creative apertures. Whether a simple circle centred near the top of your card or an offset semi-circle, or even something more abstract. Why not incorporate another language on your card? "Noel" would be a simple way to pay homage to that French book title. I hope you enjoy playing along this month. I always love the prompts that can be interpreted in a festive way, especially considering how behind I am on my own Christmas cards! We're moving into the autumn colour spectrum of the Pantone colour trends for 2017. This month I have two prompts for you that can work equally well alone or can be combined. The ginko print in the bottom-left corner makes me think of creating your own background or print with heat-embossing white onto a solid background. The same could be done using an embossing folder and white pen/ink/embossing powder to bring out the print even more. Texture - the knitting in the basket inspires a woven texture to contrast with smooth surfaces. Embossing folders or even a corrugator would be great here and if you have papers with a knit pattern why not use them? Natural fibres/trim/fabric would make for great accents, especially paired with natural wood buttons. Food - seasonal fayre like pies and harvest fruit and vegetables. Copper tones - this shade of colour could be expressed with a metallic twist using copper. Scrabble tiles - these were very popular accents and stickers in crafting lines a few years ago, have you still got them in your stash? If you have berry stamps or dies, have you always just used them as raspberries or strawberries? Tawny Port could bring a whole new twist to using those products. Autumnal florals or even roses would look lovely stamped out in this shade with subtle olive green tones. A Riot of autumnal leaves - how about layering leaves in various shades together with Tawny Port for extra pop? Autumnal wreath - wreath stamps and dies can be so versatile. You can make something for any season. Tawny Port would even work nicely as the berries in a winter wreath when paired with twigs and other seasonal accents. The landscape in the top middle image shows just how well this shade goes with a light grey neutral tone. Clean and simple with a little Tawny Port for contrast in a die cut, paper flower or felt accent could work so well. A similar shade of purple was used in a few of the Bohemian collections from Making Memories several years ago and also in some previous collections by Basic Grey - if you still have these in your stash, it's a perfect excuse to dig them out! September has arrived and it's time for a new colour prompt! This shade of green sits between a chartreuse and lime - not necessarily the easiest tone to match, however the prompt I've found provides us with a colour scheme for inspiration. As you can see Golden Lime works very nicely against pastel tones and a neutral off white. It is the perfect shade for rose leaves and of course any other foliage to accompany floral elements. The mix of green shades above would work really nicely in 3-step stamping (a particular favourite of mine) and the light blue background could be easily coloured in with watercolours around a focal image. If you've moved into Christmas card production mode, then again working pastels in with traditional festive images like wreaths and winter scenes with trees is very on trend. Alternatively you can hop on the tail end of the citrus trend we've been seeing in crafting and homeware this summer - if you have citrus-themed embellishments or stamps, get them on a card. Green can be a difficult colour to focus on, but sometimes it's about finding the right colours to use it with so that it provides the right contrast and a nice pop! I hope you have fun with this one - happy crafting! So here we are, the start of yet another new month! The Pantone Fall picks for this year feature a couple of blues that I thought would still keep us in the summer mood - for as long as possible, right? The August colours are Marina and Navy Peony. Vintage, vintage, vintage! So many lovely product lines and stamps out there fit the bill. Go with the blue and white stripe as a bold background and pair it with nautical accents. Cornwall - so much to inspire you there, even a nod to Poldark wouldn't go amiss! Use the layout on the poster as a template for positioning your main sentiment top left and any extra text below the focal image. As for Navy Peony, well we've had a bit of navy in some recent prompt images - this time I wanted to pair it with some bold neutrals. The focal point of this image is of course the beautiful navy watercolour flowers. Do you have anything in your craft room to replicate that look? Have you tried stamping techniques using watercolour paint or Distress Markers instead of ink? Lots of great ideas on YouTube. What about looking to a clean and simple card where your main image is just surrounded by natural white space and matted in gold/wood tones? The charcoal grey background really does make everything pop - how about using a dark background and heat embossing your sentiment in a contrasting colour or even using clear embossing for a glazed background print. Blue flowers and grey leaves? Since that blue goes so nicely with those grey tones, have you considered using grey for foliage instead of green? Time to think outside the box a little. You can't go wrong with a bit of bold chevron print! I hope you enjoy chasing the blues away and crafting with these lovely shades! Not so very different from Spring, but there are some deeper shades of colour to explore. While we're supposedly in the middle of summer and on a roll with pinks the past two months, I thought we might as well see how we can pair up Ballet Slipper with other fresh tones. As you can see pink does indeed love mint and other metal shades like gold and silver. If you're a stamper, one of my big tips for this month's prompt is to look to your ink collection and think a little out of the box. I have a stamp set in mind that I want to experiment with and also use an alternate colour scheme for to those colours I'd traditionally use. If you're a fan of Lawn Fawn inks then you're off to a good start as they have a corresponding pink called Ballet Slippers and a mint called Minty Fresh plus additional darker shades in the same color palette. Do you always make square or upright cards? Well look at the shelf above the bride, it made me think about rotating my card to make a card in landscape format that either opens at the top or on the left. The chevron is back! If you have cover plates or stencils, or even paper designs with a bold chevron print now is the time to get them out! Those little square earrings remind me of enamel dots or even enamel shapes, I still have some enamel dot packs that have square dots in them. If you don't ave any enamel dots then pearls and jewels will do just as well. Or even Nuvo Drops? The angular print at the top reminds me that just a border or line of pattern is all you need to showcase a greeting on a clear and simple card design. The tear drop earrings remind me that I have a stamp set for featuring individual petals of a similar shape that you can stamp to create a flower - you may have something similar or a simple leaf die that you can stamp or arrange to create a graphic look that isn't necessarily a flower. Lush ready-made paper flowers, DIY die-cut flowers, and stamped flowers will never get boring - so if you have any in your stash and haven't used them for a while, show them some love! The garland of ribbon is the perfect prompt to feature bunting or other elements stringed along your card. As always, weddings, new babies, and Christening cards are great occasions for these colours. Long time no hear I know, but the weather has been lovely here apart from a few grey days and I've been making the most of it by being outside - so no crafting! This month's Pantone colour is Pink Yarrow - it's a lush pink that's perfect for summer that will go with so many other accent colours. Have you bought any of the new Distress Oxides? Well this could be a perfect time to experiment with the Worn Lipstick and Fired Brick pads to create a graduated background! I'm back from a crafty weekend away and didn't get chance to prepare the prompt for May in advance. But here we are, May first, can you believe it? I'm pretty happy with this month's colour prompt from the 2017 Spring Pantone colours. It's Pale Dogwood - aka blush pink to you and me! Here's the Pinterest pin I found that could provide some nice and varied inspiration. Tip: Pale Dogwood is lovely combined with another of the Spring Pantone colours (Yarrow - a pale mocha shade) or gold/rose gold/copper metallics. It also works beautifully with grey shades. Repeat patterns are very in right now - if you have a MISTI tool or another stamp positioner you could definitely create your own pattern with stamps or use stencils and ink blending techniques. Remember your Distress products if you have them: Tattered Rose is a great colour match. Geometric patterns, especially triangles are very popular in patterned papers, stencils and stamps. 1920s/Deco theme - the fan design in the bottom middle image is a perfect example of opulent designs - it would look great embossed in pearlised paper. If you have the Fancy That range from My Mind's Eye in your stash, this range features blush pink paired with cream, gold, grey and black. This challenge would be the perfect opportunity to use it! Speaking of Fancy That, it's a wedding line, so if you're needing to make a wedding card in the near future, here's your chance! 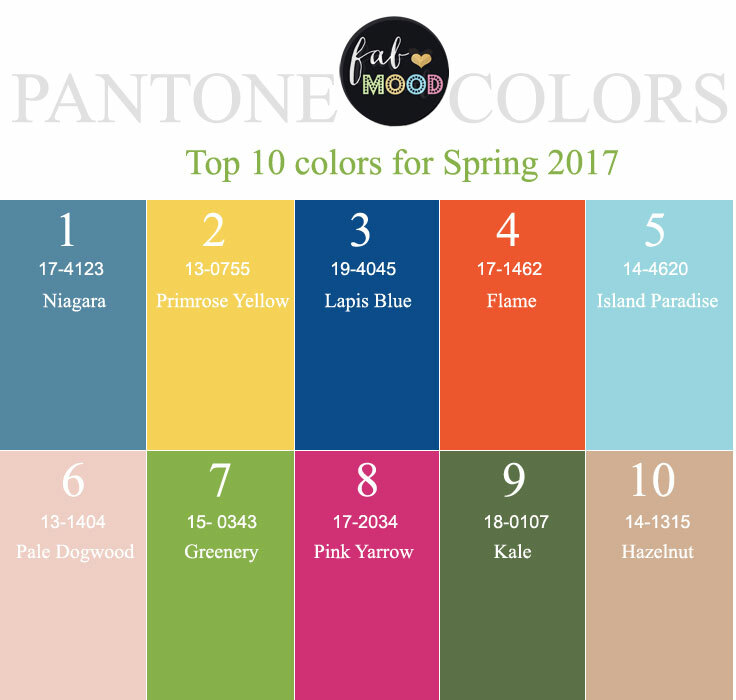 It's time for the next pick of colours from the Pantone Spring/Summer palette for 2017. This month we're going green! I've chosen two prompts that reflect different aspects of where you can go with this prompt. The possibilities really are endless as green is one of those colours that gets used so much in cardmaking and with it being just a few weeks until Easter there is plenty of opportunity to craft it into some Spring-themed projects! Ferns, palms, and succulents have all been real trend designs in scrapbook lines in the past year - see what papers you have that would fit the bill - you may be surprised! How beautiful do the greens look against a deep woodgrain background? How beautiful is this design? It's full of spring imagery and the darker green really adds impact. But what does it inspire? Daffodils, tulips, hyacinths, bluebells, the garden is blooming right now - have you got these flowers in your collection? Negative images - have you got stamps or embossing folders that would enable you to capture this technique where the negative image is used? What about heat embossing white background images onto green cardstock? I'll be getting my thinking cap on and thinking about what I'd like to make that showcases these green shades! This week over on the Daring Cardmakers blog, Enfys has set us the challenge of reusing the packaging from grocery or household items to make a card rather than it going straight in the recycling box! In fact, it's such a nice design I really think they should have used it on some kitchen towels or table mats... they would have gone nicely in my home! With such a busy print and the colours being so bold, I didn't really want to add too much else to the card other than the greeting and a focal accent. The mulberry paper flower needed to stand out a little more so I used the larger Silly Stitches circle die to create a little border around it and also attached it to the card by hand sewing it in place. Hopefully this card will brighten someone's day as it's extremely gloomy out there right now! Make sure you check out the other inventive projects over on the Daring Cardmakers blog! Here's to a sunnier weekend! It's definitely a "spring is in the air" colour: Primrose Yellow. As you can see in the above, the yellow tones have been wonderfully combined with neutral tones of white and light grey and even a little off white. There are lots of little details that could be incorporated into your cards along with focussing on doing Primrose Yellow justice. Got to love that floral wallpaper - perhaps you have a similar pattern that would work even if it's not yellow. Remember your card doesn't have to be all yellow, you can mix it with other shades or have it as a contrasting burst of colour against others. The layout of the shelves could translate well to a card, you could have a contrasting strip at the top of your card and the rest of the design below it. The lampshade looks pleated - how about pleating paper or trim on your project? I'm afraid I'm going to be awol from blogging and crafting for a fair bit longer while I'm busy with my long work days and weekends. Here's hoping I get to play with my lovely new Easter/Spring stash in time for this Easter! Well, February is here, traditionally the month of hearts and flowers and what better time to focus on the red shade of the Pantone 2017 Spring/Summer palette, namely: Flame. But don't focus too much on the exact shade - this prompt definitely lends itself to red, deep coral shades, dark oranges as a colour accent and you can pair them up with other more subtle shades. Remember your card doesn't need to be just Flame red! The language of love - flowers are always great on a card, why not go with iconic red flowers like roses, poppies, or even tulips? Valentine's Day - well it had to be on the list! Mail theme - why not create a mini envelope for the front of your card to hold a gift card or the sentiment? So over to you - happy crafting! I ended up combining Niagara with white and green, plus I had to still include a little of January's alternate Pantone colour: Island Paradise. Sadly, this last day of January was a gloomy one so the photographs are a bit darker than I'd like, but you get the gist! The lovely Flourish set from Concord & 9th is perfect for assembling your own colour palette - my MISTI came in very handy here for getting some even coverage with some ink cubes that were drier than others and it's always nice to see the splotchiness of dye ink stamping even out when it is finally all dry. So all that remains is for me to go and prepare for the February prompt that I'll be sharing tomorrow! I'm offering up this card for my interpretation of the Island Paradise prompt in this year's Pantone-inspired card challenge. I think I'll always be a fan of pairing up aqua blue tones with pinks and blush colours - they just complement each other so well. :) I had a lot of fun combining a number of inks in my collection to create the roses and leaves. I'm also hoping to make a card using the darker blue shade of Niagara as my inspiration as well. I know I've been awol the past few weeks but I needed to take a break from blogging and the PC while I wound up work projects right up to the Christmas. December was an amazingly busy month for me, but I am happy to report that all my Christmas cards got sent out and all the gifts were wrapped in the nick of time. But now here we are in a new year and I'm hoping you'll join me on this year's card challenge which is inspired by the Pantone colour picks for 2017. Each month I'll pick a colour or two from this selection and hopefully find some Pinterest inspiration that will fit the bill. Although the main inspiration for this year's challenge will come from the colours, the pins I share will also provide some other elements that you can translate onto your cards. Whether it's the combination of colours that the Pantone colour is used with, graphical details like patterns and prints, the theme of images, or even using an image as a blueprint for the layout of your card. 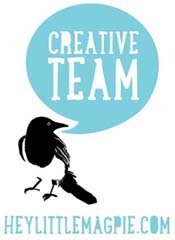 There's no limit to your creative options! On the 1st of the month, I'll share a couple of Pinterest prompts here on my blog for the Pantone colour(s) of the month. The prompts will focus on the Pantone colour - but you will be able to interpret additional elements on your card: design elements, colour combos, words, patterns, objects, layout... so many possibilities! Whatever inspiration you take from the image, incorporate it in your card! As always I will try and come up with a list of what immediately springs to mind when I look at the image to give you a few ideas if you're stumped. What about Christmas cards? Well, the great thing about taking inspiration from a specific colour is that you can use it for any theme including Christmas cards. As my box of Christmas cards is now empty, don't be surprised if you see me sharing Christmas projects during this challenge. If the immediate inspiration you get for a project is to go the festive route, then by all means join me in sharing your Christmas makes, even if it's July! All prompts past and present for this challenge can be found here on my blog and you can find them easily by clicking on the 2017 Pantone card challenge tag over there on the left. Speaking of tags, if you're also on Instagram then I'll be using the hashtag #2017pantonecardchallenge for any posts related to this challenge, feel free to use this tag on Instagram too! So it's on with the show - here's to a crafty and inspiring 2017 - Happy cardmaking one and all! A big trend right now is marbled backgrounds - how about using paper or creating your own with all those lovely shades of blue and turquoise? This subtle blue is a great match for Tim Holtz's "Faded Jeans" range of Distress products. If you're looking for a starting shade that would be perfect! Circle elements and doilies - these will never get old on cards and if you are ever stumped as to where to start, then you can't go wrong with a large circle element - whether an aperture, die-cut or stitching. Finally, that organza skirt on the dress reminds me that fabric and trim is always something that can translate well to a card. I hope these ideas are enough to get you started.